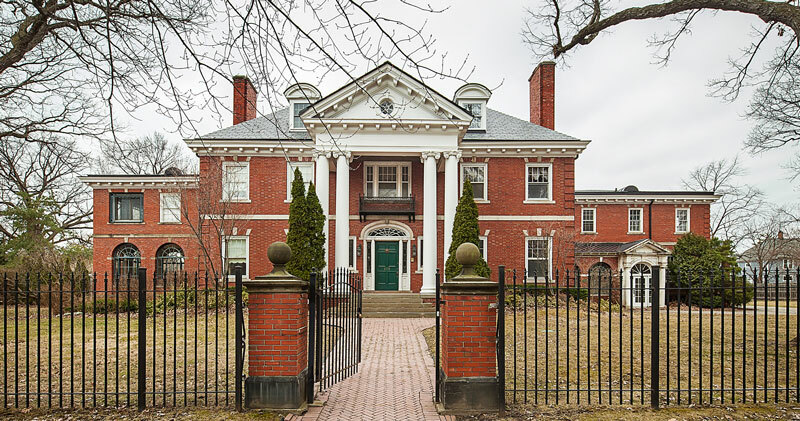 The Junior League of Detroit, a group of female leaders, has announced its 2020 Designers’ Show House will be the historic Bingley Fales House in Detroit’s Indian Village neighborhood. Located at 1771 Seminole St., the home is recognized in The American Institute of Architects Guide to Detroit Architecture. This will be the league’s 23rd Designers’ Show House and second home located in Detroit. Every other year, the league selects a prominent local estate and curates local and national interior designers to transform the home into a Designers’ Show House. Liana Dabir of Grosse Pointe Farms and Dianne Bostic Robinson and Anne Reese of Detroit will serve as co-chairs of the 2020 Designers’ Show House. The Bingley Fales House was designed and built in 1907 by Chittenden and Kotting for Bingley Fales, a lawyer and assistant general manager of the Edison Illuminating Co. It is the largest home in Indian Village, with 10 bedrooms, five full bathrooms, and two half baths across 15,000 square feet. The home is set on two acres that include formal gardens and Pewabic tile reflecting pool. The league will host a Sneak-A-Peek event in October before the grand unveiling of the redesigned home in spring 2020. More information on the house and fundraiser are available here. The league was founded in 1914 and works to promote voluntarism, develop the potential of women, and improve communities. Since its founding, the league has completed 53 major projects in and around Detroit and awarded more than $250,000 in community grants.